The SafeSea E100G EPIRB operates in the 406MHz satellite band. This is constantly monitored by Cospas-Sarsat, the international search and rescue satellite operator, who ensuring a rapid response when a signal is received, no matter where it is in the world. 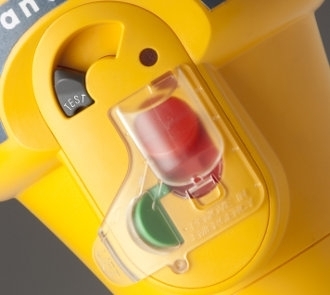 The E100G has been designed for maximum efficiency resulting in superb operating life from the battery, twice as long as other EPIRBs, keeping rescue services updated with your location for longer. 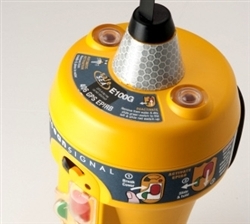 The E100G is also fitted with a 121.5MHz homing beacon used by rescue services for close-in location of vessels in distress. In addition it is fitted with a high brightness LED strobe light for additional impact, especially at night. The E100G can be fitted within an optional Automatic Release Housing (commonly referred to as ‘float free’). 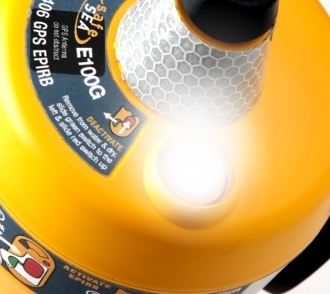 The E100G is fitted with a 50 channel GPS receiver, more than any other EPIRB, giving near instantaneous position reports to rescue authorities. Battery provides massive four days of operation. User replaceable non-hazardous battery pack. Unique protective cover to avoid inadvertent operation. Fitted with dual high brightness LED strobe lights. Rubber boot helps to protect against damage. EPIRB housing fully waterproof even when battery removed. Battery pack separately double sealed, battery contacts individually sealed. Reflective tape to maximize visibility. 50 channel GPS receiver for near instantaneous position reports.